Are new apartments coming to Maricopa ? Maricopa residents-- what are your thoughts about this?? The Lakes does use landscaped water falls in some locations to churn the water. Do you like your salsa hot or mild? Or just interesting? A little of everything is expected at Maricopa’s 13th annual Salsa Festival. The city’s biggest event is set for March 24 from 2 to 8 p.m. at Copper Sky Regional Park. It is a time of salsa tasting, game playing, hot-pepper eating, piñata busting, salsa dancing, music listening and, yes, beer drinking. City events manager Niesha Whitman said more than 30 vendors have signed up. As for the salsa, contestants can enter one category for free and others for $5. The three categories are hot, mild and unusual. Chefs will compete for cash prizes up to $1,000. Each category win is $500 while second place is $150 and third is $50. The celebrity Judge’s Choice earns $250. The overall best, based on public voting, wins the coveted $1,000. To try the salsas and vote, attendees purchase a $1 box with corn chips and room to place plastic cups of the competing salsa they can get. Attendees who want to win a hundred bucks the hard way can enter the Chili Pepper Eating Contest. Contestants must work their way through a series of progressively hot peppers to take the title. As usual there will be live mariachi music and performances by community groups. Besides the Lil’ Pepper Zone with inflatables, Whitman said Artisan Signs is providing a craft area with sand painting, coloring, piñatas, face painting and more. Admission to Salsa Fest is free. There is a $5 charge for Lil’ Pepper Zone wristbands. Parking at Copper Sky will also be $5, but there will be free park-and-ride areas at six schools and Maricopa Ace Hardware, with a shuttle service running from 2 to 8:30 p.m. The Electrical District No. 3 (ED3) board of directors approved its 2018 budget, which will see the 2018 electric rates go down an average of 2 percent for residential, commercial, small industrial, large industrial and agriculture. The board met in executive session on the budget at the Oct. 25 meeting. William Stacy, CEO and general manager of ED3, said the District has worked diligently to reduce costs and, for the third year in a row, will provide a rate decrease to its customers effective Jan. 1. ED3 estimated its average residential rates are 10 percent lower than Arizona Public Service. Stacy said the nonprofit was able to cut costs through pooling management with Southwest Public Power Agency and other measures to save money. ED3 began operation in 1926, to provide area farmers with electricity to irrigate their crops and is a nonprofit utility currently serving an area of approximately 245,500 acres around Maricopa and Stanfield. The District operates 12 distribution level substations, approximately 1,034 miles of 12 kV lines (621 miles of overhead and 413 miles of underground) and 77 miles of 69 kV lines. The District currently serves approximately 25,005 residential, commercial, and irrigation meter connections. 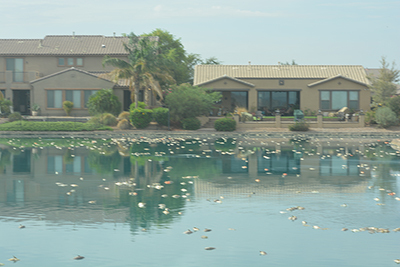 A base rate increase is in store for customers of the Maricopa Domestic Water Improvement District. The cost of infrastructure maintenance is a leading cause, office manager Sara Sheehan said. A public hearing on the tentative budget including the new base rates is scheduled for June 17 at 5:30 p.m. at the district office, 19756 N. John Wayne Parkway, Suite 109. “We haven’t had a rate increase since 2010,” Sheehan said, adding the increase is only on the base rate, not on the commodity. MDWID is a public utility serving about 300 customers in the Heritage District of Maricopa. Sheehan said it also manages four other districts for a total of about 600 customers. Original infrastructure was put in place in the 1980s with upgrades in the 1990s. Two big blows during the current budget year – a major leak on State Route 347 and a well failure – cost the district around $30,000, Sheehan said. The 2015-16 budget expects water sales of $240,000. MDWID’s total budget revenues are $1.4 million. Expenses are $455,547, and capital expenditures are $876,214. There will be a regular meeting of the board to approve the budget and base rate increase immediately following the June 17 public hearing. With the upswing in the economy and the rise in the value of the American dollar, homeowners across Maricopa are cashing in on houses they purchased a few years ago. Maricopa has seen an uptick of homeowners from colder climates in recent years. To escape frigid conditions at home and to find great deals on houses, snowbirds have flocked to sunny Maricopa during the economic downturn. Since the housing market crashed in 2008, brand new homes were being purchased for as little as $60,000, Murray said. Now that the economy has leveled out, the value of these homes has soared. In some cases, homeowners are selling for twice what they paid. HomeSmart Success owner Dayv Morgan sees a similar trend with his clients: Seasonal homeowners are selling and permanent residents are moving in. Canadians in particular are using the improving economy to their advantage. Currently, the American dollar is worth 28 percent more than the Canadian dollar. This is translating to large initial profits at the time of sale, and massive profits when the money is exchanged over the border. Not all members of the exodus are selling their homes for the increased exchange rates or values though. Some simply can’t justify the cost of owning a second home. Others don’t want to deal with the hassle of upkeep on the home. Some homes have sold for as high as $440,000. Morgan said the rise in property value also hurts the market for new seasonal owners. The rise in costs will prevent some potential owners from making the investment in the market. For others, who would have considered buying two or more properties in the area, the decision to stay with just one home becomes the only feasible option. This can also become an issue when the housing market slows down again. If the house is bought for too much initially, the homeowner may not have the funds to do any upkeep on the property. If the house is used for seasonal living, the homeowner may not be able to afford caretaking services when they are not there. Manochio went on to say she has not seen the surge of seasonal owners selling their homes have a negative effect on the community. She said it has brought new owners and new business into the market. Classes, meetings, get-togethers and fun are all part of events going on this week in Maricopa. Age-Friendly Maricopa Advisory Committee meets at 5 p.m. at City Hall, 39700 W. Civic Center Plaza. Among other items, the committee will receive a presentation/recommendation from Maria Lewis, president/CEO of the Maricopa Chamber of Commerce, regarding a partnership with senior volunteers. Maricopa Historical Society meets from 5:30 to 7 p.m. at Maricopa Public Library, 41600 W. Smith-Enke Road, to discuss ongoing projects. bmurphree@brentmurphree.com, 602-810-1171. Coffee with Friends Maricopa Library is from 1:30 to 3 p.m. at Maricopa Public Library, 41600 W. Smith-Enke Road. Come join the Friends of the Maricopa Public Library for refreshments, conversation, and get acquainted with the Library. All ages are welcome. Maricopafriends@aol.com, 520-431-9198. Public Safety Personnel Retirement System Board meeting starts at 4:30 p.m. at Maricopa City Hall, Human Resources Conference Room, 39700 W. Civic Center Plaza. Five new members of the Maricopa Police Department are coming into the system and two are going out. Two are leaving the system from the fire department. Maricopa City Council meeting starts at 7 p.m. at City Hall, 39700 W. Civic Center Plaza. Action items include the 2040 Vision and Strategic Plan, a transportation/transit plan, the Non-Profit Funding Program and more. Butterfield Elementary School will have its night at Yogurt Jungle from 5 to 7 p.m. at 21101 N. John Wayne Parkway. Saddleback Elementary School’s Site Council meeting is from 3:30 to 4:30 p.m. at 18600 N. Porter Road. 520-568-6110. Creative Ram’s Maker Showcase is from 4 to 6 p.m. in the Maricopa High School Library, 45012 W. Honeycutt Ave. Come see what makers of all ages have created using the Creative Ram resources; 3-D printing, Arduino electronic boards, Raspberry Pi computers, iPads, and more. rshoup@musd20.org, 520-568-8100, ext. 4147. Santa Cruz Elementary School’s PTO meeting is at 4 p.m. at 19845 N. Costa del Sol. 520-568-5170. The Maricopa Unified School District Art Walk is from 4:30 to 6:30 p.m. at the district office, 44150 W. Maricopa-Casa Grande Hwy. 520-568-8100. Maricopa High School Evening of Honors is at 6 p.m. in the Performing Arts Center at Maricopa High School, 45012 W. Honeycutt Ave. Honor the success of students in all grades who have demonstrated outstanding achievements in academics, athletics and attendance and those who have received scholarships. 520-568-8100. Central Arizona College-Maricopa Final Exams begin and continue through May 14 at 17945 N. Regent Drive. 520-494-6400. Second Saturday Copa Market is from 8 a.m. to noon at Copper Sky Regional Park, 44345 W. Martin Luther King Jr. Blvd. Support your local businesses and check out fresh produce and homemade arts and crafts. kelsie.orrock@maricopa-az, 520-316-6865. Mental Health Awareness event runs from 9 to 11 a.m. on the Great Lawn at Copper Sky Regional Park, 44345 W. Martin Luther King Jr. Blvd. Changing the way we think about mental health - includes a balloon release and one-mile walk. Guest speaker is Erin Callinan, author of "Beautifully Bipolar." 520-316-6844.
from 10 a.m. to noon at Fire Station 575 Community Hall, 45695 W. Edison Road, is a contining education course on the second and fourth Saturday of each month. bkrgma@gmail.com, 602-358-1192. Benefit Concert and Mother's Day Weekend Market starts at 3 p.m. at Bead & Berry Coffee House, 20800 N. John Wayne Parkway, Suite 115. Features music by Laura Walsh, Joanna Joy, Nancy Elliott, Rich Bailey and Jeshua Lincoln to raise money to sponsor a victim of human trafficking. Get more details on these events and add your event to our free calendar at http://www.inmaricopa.com/Calendar. “We probably can’t eliminate [discharging effluent water into the wash], but this should remove a lot of the need to flush water through the area,” Corwin said. Residents of the communities surrounding the 404 wash are set to meet with Global Water on Wednesday to further discuss possible changes to the point of discharge and to come up with a legal resolution to the problem. As Starbucks Coffee opened its doors Thursday at the Maricopa Station, local business owners are looking at how their livelihood will be affected by franchises that will soon populate the retail plaza. Starbucks became the first business to open in the Maricopa Station as a crowd descended Thursday afternoon. “I’ve been so touched by the outpouring from the community,” store manager Bonnie Shouse said. As first in line in the development, she pointed out, Starbucks is also in a place of welcoming the other business as they begin to occupy Maricopa Station. They will include Jersey Mike’s Subs, Sport Clips, Zoyo Yogurt, Freddy’s Frozen Custard & Steakburgers and Chipotle. Along the same line as Bullivant, Honeycutt Coffee owner Cathy Dykstra is uncertain how the new national franchises will affect her business. Shouse, who lives in Ahwatukee, said she has more than 30 employees, most of whom live in Maricopa. She started with Starbucks in Tucson eight years ago as a barista and worked her way up through varied positions. “It’s a great company to work for and I’m very excited to be able to open a store here,” Shouse said. The biggest issue local companies run into in comparison to national franchises like Starbucks is the amount and speed of products they can produce. A chain store can prepare a cup of coffee or a meal in a much quicker time frame. They also have the capacity to handle more business. But can a small company really compete in the long run with a franchise? What if the franchise opens up a new location? These are the questions each local business owner has to ask once a national franchise comes into their market. Despite the increase in competition, the addition of more franchises also points to growth within the city of Maricopa. For local companies, it simply means more opportunities to grow their brand and reputation among the community. It is still unknown which direction Maricopa will grow. Regardless, local owners are excited to have the opportunity to be a part of the growth. “Large franchises don't have the pull when patrons prefer the hand-made trade and art of it all,” Bullivant said. “Will Maricopa choose that? I hope so. And also that we can share our passion about pure products with no additives giving Maricopa residents the opportunity and option that previously they could only find in certain areas in Phoenix and other parts of the [United States].”Honeycutt Coffee is floating ideas on how to stay competitive. Maricopa residents are invited to participate in Holiday Homes on Parade. This holiday decorating contest showcases the creative talents our residents have for designing amazing holiday displays! Participants in the Holiday Homes on Parade are encouraged to be original, colorful and creative in decorating the exterior of their home with lights, seasonal characters, scenes, and props. Registration for the Holiday Homes on Parade is free and entries will be accepted from Nov. 4 through Nov. 27. Judging will take place nightly from 6-9 p.m. between Dec. 9 and Dec. 18. Entries in the Holiday Homes on Parade contest will be judged in the categories of Best on Parade, Best Light Show, Best Theme, Best Use of Color and Residents’ Choice. Winner of Best on Parade will receive a $500 gift card to Ace Hardware! Other entry categories also receive great prizes to local businesses. Once again this decorating contest is being extended to commercial businesses. Winners in the business category will receive a fee waiver of banner permits for a period of six months (January-June 2014). The City invites all of the citizens and businesses of Maricopa to share the holiday spirit by recognizing and appreciating the efforts put into making Maricopa shine this season. The mortgage industry has been criticized for making the process of obtaining a loan a little too easy and causing the housing crash several years ago. Regulations were passed to prevent a similar outcome and to make sure buyers are qualified and financially stable. However, a $0 down loan program still exists today and has been an important part of the housing recovery in Maricopa, and it has provided thousands of families the opportunity to purchase a home they would otherwise not have had. Known as a United States Department of Agriculture loan, or rural housing loan, it is a loan designed for rural development areas and is fully guaranteed by the U.S. There are still basic qualifications that must be met by the buyer, such as a minimum credit score and debt-to-income ratios, and the property must qualify. It must be located in an area deemed "rural" by the USDA. Maricopa has been one of these areas for many years, and most daily commuters would tell you that Maricopa still feels like a very rural area. However, by USDA standards, Maricopa’s population has grown large enough that this loan program will no longer be available in the city as of Jan. 15. With USDA loans no longer an option, most people will attempt to switch to an FHA loan that requires 3.5 percent of the purchase price as a down payment. According to Arizona Regional MLS, the median home sale in August was $147,000. So for an average property these buyers now will have to come up with an extra $5,000 to complete their purchase, in addition to any other closing costs. Ultimately, this will push a lot of buyers out of the market. Many families would struggle to save an extra $400 per month, and at that rate it would still take them over a year to acquire the minimum down payment. Lenders also are feeling the impact of this change, which will affect not only Maricopa but Casa Grande and San Tan Valley, too. Rudy Benitez of GenCor Mortgage said USDA loans make up 32 percent of his business. He said he expected the loss of USDA eligibility will be "detrimental to Pinal County." "Even if borrowers can take the time to save up the money for the down payment, during that time the property values and interest rates will most likely increase, meaning that borrowers will qualify for less and less as time goes on," he said. Fewer qualified buyers will mean less demand. Less demand will mean a slower appreciation of home prices, and a slower recovery of the housing market in Maricopa. There is still a chance the USDA program will continue for a little bit longer. Maricopa has been set for disqualification ever since the population grew above 25,000, but each year the city has received an exception — the latest coming only a few weeks ago. The current population is nearly 45,000. Congress is scheduled to meet on this matter and could pass a proposal to extend the current rural definition until Sept. 30, 2014. Maricopa residents have raised concerns about being charged to clean up the 404 wash that Global Water flushes with effluent water. The issues arising from the effluent water discharge into the 404 wash involve the amount each community is being charged. Residents of Senita, Rancho El Dorado, the Villages at Rancho El Dorado and Province have raised concerns about being charged to use the water in their homes, paying a fee for Global Water to fill their lakes and ponds with the effluent water, and then being forced to pay for landscaping inside the 404 wash to keep it clear of debris after excess water is discharged through the area. 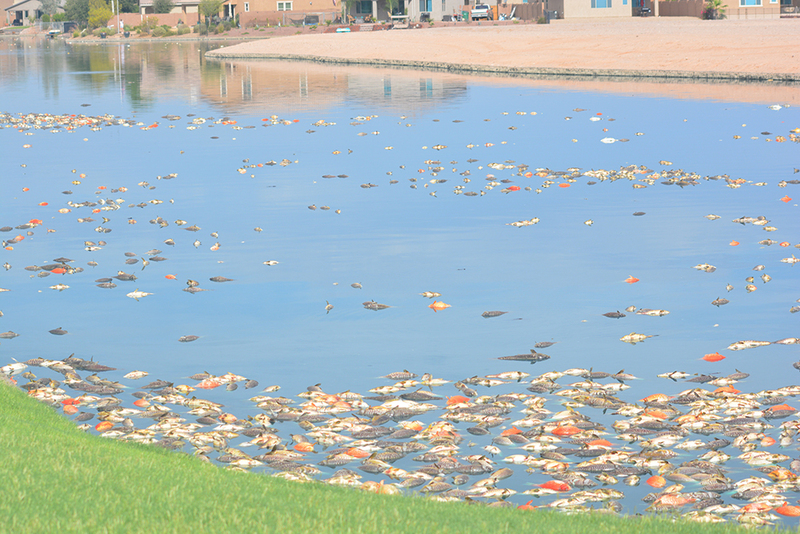 The Maricopa Flood Control district mandates the bottom of the 404 wash remain clear of obstructions, so the communities bordering the wash are obligated to keep it in working order. According to Clark, Global Water discharges 2 million gallons of water into the wash each day. By doing so, Clark claims, this creates a wet land in the area. This in turn causes overgrowth of plants and weeds, and allows mosquitoes to develop breeding grounds. However, Global Water General Manager Jon Corwin said the amount of water discharged was much lower. He said Global Water only discharges water that isn’t used, and the amount fluctuates throughout the year. His approximation was no more than 25 percent of the water is flushed through the wash. This still causes an issue for Clark and other community members though. The communities surrounding the wash already pay for water services and for the effluent water to fill their lakes. The added cost of landscaping to keep the wash clear from debris or overgrowth caused by any amount of discharge, they claim, is unfair. The communities also can’t opt out of keeping the wash clear. The 404 wash is a safeguard for flooding, and any obstruction could cause the wash to fail. Keeping the area clear of debris and overgrowth is necessary, but it also isn’t as simple as it sounds. According to Clark, the Army Corps of Engineers prohibits machined equipment from going into the wash. The items naturally growing in the wash also can’t be uprooted, or the integrity of the wash could be compromised. These stipulations cause landscaping rates to escalate. Clark estimated Senita alone had to pay $17,200 in 2014, and will likely pay upwards of $20,000 in 2015 to keep the wash clear. Clark has been challenging the charges for the last three years. He and other members of the surrounding communities have gone to the Arizona Corporations Commission, but Clark said they have been unable to help so far. However, ACC spokesperson Rebecca Wilder hasn’t seen a case regarding the issue come through the system since 2014. Wilder also checked with the other members of her staff, and no pending cases or complaints were found. Clark and other members of the frustrated communities have also looked to the city for help. However, as City Manager Gregory Rose explained, the city definitely has an interest in the issue, but they also have agencies set up to monitor situations such as this. If the issue became a health or safety concern, the city would then step in and try to resolve the problems by working with the appointed agencies. There is no need to do so because none of these concerns exist at this time, he said. In an attempt to resolve the issue, Global Water is looking into alternative points of discharge for the effluent water. Their hope is to diminish the impact the discharged effluent water has on the surrounding communities.